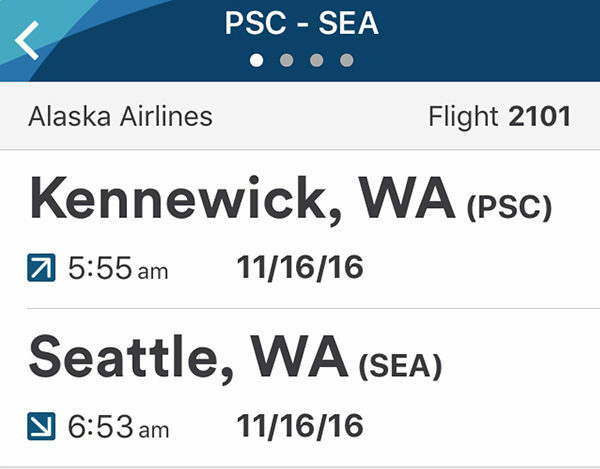 My wife and I recently flew Alaska Airlines (which I tend to love) and had an early-morning flight over to Seattle. Take a look at these three images and let me know if you see anything strange. 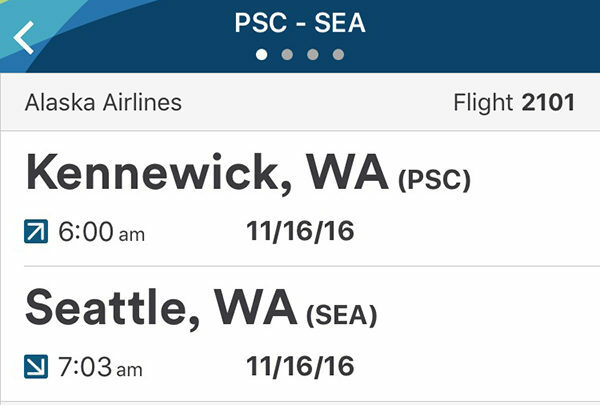 You probably noticed three different departure times — crazy, right?!?! We booked this trip a few months ago, and as often happens, the exact departure time changed a bit between then and when we actually left. What’s not normal is that the website and each mobile app were showing unique departure times. I had no idea which of the three was correct. About a week before the trip, I sent Alaska a direct message on Twitter to ask which time was correct. They’re always fast and helpful when you request help that way, and I quickly got a reply that the website always shows the correct time, and the apps don’t automatically update when flight details change. How crazy is that??!! This is 2016 and you can’t get your apps to show updated information??!! Turns out that the apps did update with the correct time when we checked in for our flights the day before, so all was not lost — we had accurate info while we traveled and used our phones. But I’m still blown away that the apps didn’t update at all in the days and weeks leading up to the flight. Dear Alaska, I love you, but you gotta do better than that.